DIY printing is the best printing service provider in the Philippines where I purchased a honeycomb t-shirt. The t-shirt quality is a too good and reasonable price. Metropolitan Manila (Filipino: Kalakhang Maynila, Kamaynilaan), commonly known as Metro Manila, the National Capital Region(NCR) of the Philippines, is the seat of government and the most populous region and metropolitan area of the country which is composed of the City of Manila and the cities of Caloocan, Las Piñas, Makati, Malabon, Mandaluyong, Marikina, Muntinlupa, Navotas, Parañaque,Pasay, Pasig, Quezon City, San Juan, Taguig, and Valenzuela, as well as the Municipality of Pateros. The region is the center of culture, economy, education, and government of the Philippines. Its most populous and largest city in terms of land area is Quezon City, with the center of business and financial activities in Makati (with the Makati CBD and Makati Poblacion).Binondo, the oldest Chinatown in the world located in the City of Manila is also a center of the thriving economic activities in the region, along with Ermita and Malate. Other financial areas within the region include: Ortigas Center, which is shared by the cities of Mandaluyongand Pasig, with parts of it belonging to Quezon City; Bonifacio Global City in the border of Taguig and Makati; Araneta Center, Eastwood City and Triangle Park in Quezon City; Bay City reclamation area, which is split between the cities of Pasay and Parañaque; and Alabangin Muntinlupa. Since the colonial period, Manila has been the center of education. The University of Santo Tomas (1611), Colegio de San Juan de Letran(1620), Ateneo de Manila University (1859) are some of the educational institutions established during the colonial period. The country's national university, the University of the Philippines, along with several state colleges and universities calls the region as its home. Most of the educational institutions in the country is concentrated on an area called as "the University Belt" where there is a high concentration or a cluster of colleges and universities. The high concentration of higher learning institutions makes Manila the country's educational capital. Its economical power makes the region the country's center for finance and commerce. Its gross regional product is estimated as of July 2011 to be $159 billion and accounts for 33% of the nation's GDP. It was listed by PricewaterhouseCoopers in 2011 as the 28th largest economy of all urban agglomerations in the world and the 2nd in Southeast Asia. Its existence was preceded by the province of Manila, occupying the same area Metro Manila has. By the time of the colonial rule of Spaniards, the province of Manila was dissolved, and Intramuros became Manila itself. 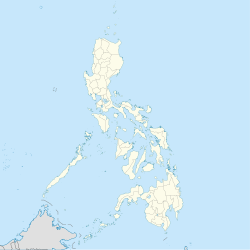 Other cities belonging to present-day Metro Manila was by this time under the province of Rizal. In 1976, as proclaimed by Presidential Decree 940, Metro Manila became the seat of government of the Philippines, with the City of Manila serving the country's capital. Metro Manila is the most populous of the 12 defined metropolitan areas in the Philippines and the 11th most populous in the world. As of the 2010 census, it had a population of 11,855,975, equivalent to 13% of the national population. The sum of total population of provinces with a density above 700 people per square kilometer (more than double the national average) in a contiguous zone with Metro Manila is 25.5 million people as of the 2007 census. "Malling" has been a pastime of Filipinos since the rise of "megamalls", a phenomenon developed by Chinese Filipino businessman Henry Sy and his company SM in the early 1990s. Three SM shopping malls are among the top 10 largest in the world. The largest in the country is currently the expanded SM Megamall in Mandaluyong. Previously, the SM City North EDSA in Quezon City was the country's largest mall, and before it, the SM Mall of Asia in Pasay held the distinction from 2006 to 2008. Malls are generally clustered into major shopping districts, sometimes within financial hubs such as Makati or Ortigas Center. Ayala Center, a major development within the Makati central business district, contains various up-market malls such as Greenbelt and Glorietta. SM Megamall is located within Ortigas Center, which is also the site of Robinsons Galleria, Shangri-La Plaza, and The Podium. Within the City of Manila itself, the largest malls include SM City Manila, Robinsons Place Manila, and the older Harrison Plaza. Cubao is Quezon City's central commercial area and has five malls including the Gateway Mall at the Araneta Center. There is also Eastwood City, located along Libis; SM City Fairview, in Novaliches; and TriNoma,Ayala Land's mall, across from SM City North EDSA. Newer business districts such as Bonifacio Global City have also become shopping hubs since the opening of Bonifacio High Street,Serendra, and SM Aura Premier . Further to the south, SM Southmall and Festival Supermall are its biggest shopping malls in Las Piñas and Muntinlupa. Traditional Filipino shopping areas, while now rivaled by more modern shopping malls, maintain a presence in Metro Manila. Filipino wet markets, known locally as palengke, are most prominent within the City of Manila, especially in Divisoria, near Binondo. Cloverleaf Market in Balintawak, Quezon City supplies much of Metro Manila's fruit and vegetable products. Navotas Port Market supplies most of Metro Manila's fish products. Other smaller markets include the Cubao Farmers Market, EDSA Central, Nepa-Q Mart, Novaliches Talipapa, and those found in Muñoz, Balingasa, Galas, Santa Mesa, Baclaran, Libertad, and Cartimar (the latter also being one of the finest pet markets). Tiangge, or flea markets, are also prevalent in the city, and sell a wide range of dry goods, accessories and electronics. Recently opened in Pasig is a new development called Frontera Verde, which currently hosts Tiendesitas, a tiangge-style shopping center. Located in the western portion of Metro Manila in the heart of Manila proper, Rizal Park, also known as the Luneta, is an iconic public promenade. Rizal Park features the Rizal Monument, a statue honoring José Rizal; a gigantic relief map of the Philippines; scenic Chinese and Japanese gardens; and several government offices, such as the Department of Tourism. On the seaside front of Rizal Park are numerous seafood restaurants specializing in Filipino and Asian cuisine. The National Museum of the Filipino People is also found here. It is a complex of two Greco-Roman buildings which house various relics and natural treasures in its galleries. The museum also boasts a large collection of artwork and masterpieces crafted by Filipinos. Part of the museum complex is the first planetarium in Southeast Asia. A newer attraction is the Manila Ocean Park, an oceanarium which opened in March 2008. Located nearby is the Quirino Grandstand, which apart from political campaign gatherings is also a popular staging ground for rallies such as those for various charismatic religious groups. Near Rizal Park is the 400-year-old former imperial city known as Intramuros. Intramuros, is a walled domain which was once the seat of government during the Spanish Colonial Era and American Period. Among its attractions areFort Santiago, a timeworn Spanish military fortress; Casa Manila, a Spanish colonial villa which is converted into a house gallery; Manila Cathedral, the official seat of the Archbishop of Manila; San Agustin Church, erected in 1587, the oldest existing church in the Philippines; Intramuros Golf Club, a golf course outside the walls; and the Clam Shell Tent, an exhibition center of the Department of Tourism. Horse-carriages and tourist buses are also some of the attractions. The rest also includes a walk above the walls surrounding Intramuros, government offices, universities and colonial houses. The Quiapoarea is home to the famous Quiapo Church and Plaza Miranda, home to the Black Nazarene. It also has the largest Filipino Muslim community outside of the southern Philippines, where the trading-focussed Muslim Town and the Masjid Al-Dahab mosque is situated. Fort Bonifacio is the location of military detachments, cemeteries, corporate headquarters, and world-class dining and shopping facilities. Other local recreation areas include the Nayong Pilipino (Philippine Village) in Parañaque, Quezon Memorial Circle and Ninoy Aquino Wildlife Center, both in Diliman district of Quezon City, the Cultural Center of the Philippines Complex and Bay City, both in Pasay. Meanwhile, the Paco Park, Arroceros Botanical Garden,Manila Zoo, Plaza Rajah Sulayman, Plaza Miranda, new Rizal Avenue Bargain Walkway, the all-steel Gothic San Sebastian Church, the bars and night clubs of Ermita and Malate districts and the Roxas Boulevard Bay Walk which offers a fine view of the Manila Bay sunset and hip dining are in Manila.